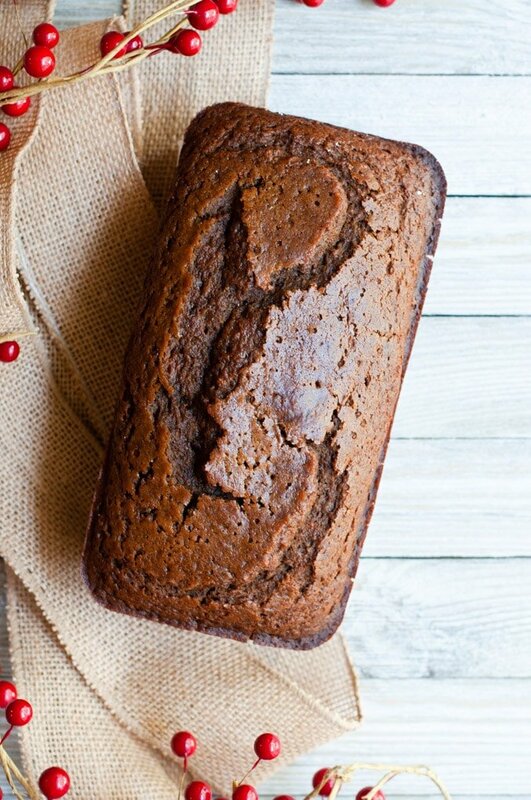 This soft and moist gingerbread loaf is made with molasses and warming spices. 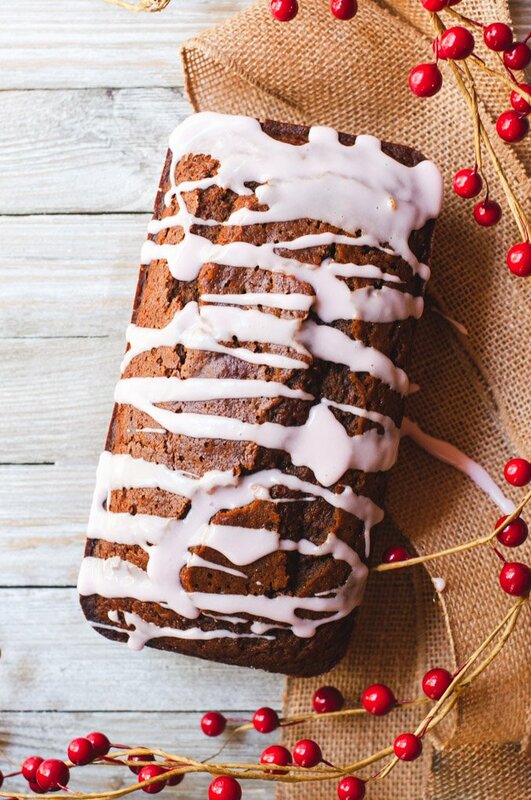 Drizzle with a simple cranberry glaze for the ultimate fall treat. I’m more than happy to jump into fall before summer is even over. But I’m usually not one to jump from into winter before fall is even finished, because fall is just the most wonderful season (fact). But this year it seems that the weather is urging me to move on earlier than planned. I mean, it’s cold out there! Fall in Georgia is crisp and chilly, the perfect weather for sipping hot coffee on the porch in the morning, shrouded in a cozy blanket. 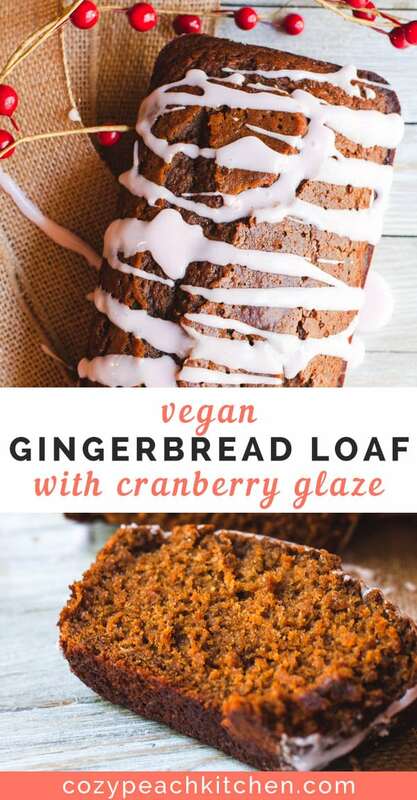 That’s where this gingerbread loaf comes into the picture. It’s the perfect treat to enjoy with a mug of warm tea or coffee, paired with a thick layer of almond butter or on its own. And it tastes like fall and winter all in one! 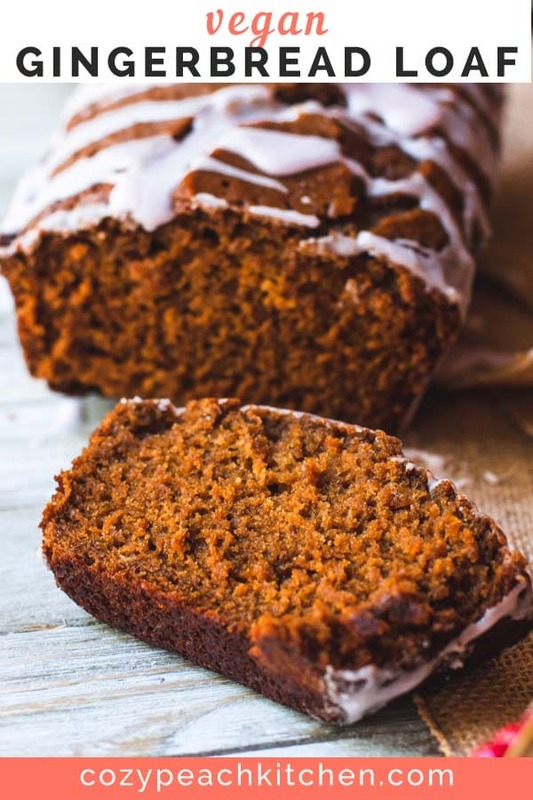 This gingerbread loaf falls nicely in-between the seasons; it has warming fall spices, but the molasses base really emphasizes winter. It smells wonderful while it bakes, so it’s a great bread to make if you have guests coming over. And the cranberry glaze! This glaze came about because I was at my parent’s house when initially testing this recipe. 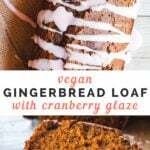 I wanted a fun glaze for this gingerbread and my parents had cranberry juice in the fridge, so I gave it a try. Wow! That tiny tang of cranberry really emphasizes the seasonal flavor. And it makes a basic glaze a bit more fun, and lightly pink. And who can say no to a pink glaze? 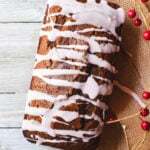 This gingerbread is very easy to throw together and follows the usual steps for a basic quick bread. You’ll start by combining the dry ingredients in a medium mixing bowl. Next, gather your liquid ingredients. Heat the water up, either in the microwave or from the faucet, until its hot to the touch. Pour in the molasses and mix together. This makes it so that the ingredients mix together more smoothly since the molasses is so thick and syrupy on its own. 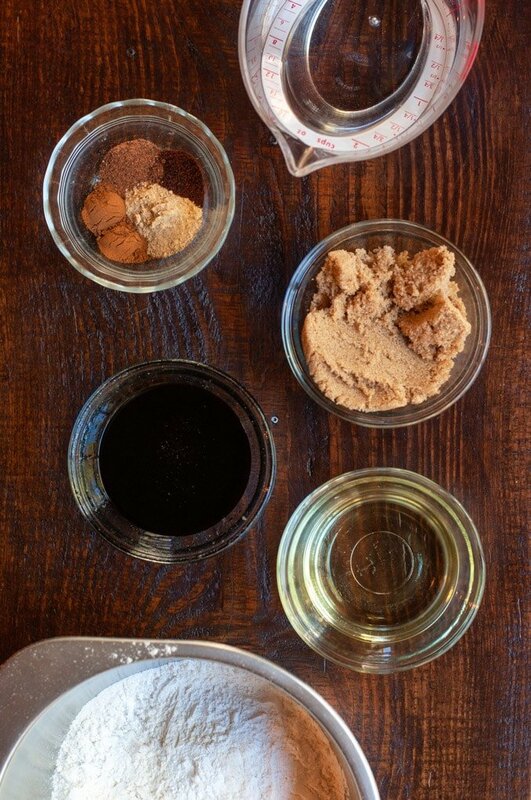 Pour the mixed-together liquid ingredients slowly into the dry ingredients, mixing with a wooden spoon until just combined. Lightly spray an 8×4 loaf pan with non-stick cooking spray. Pour the batter in, then mix together until just combined. Bake your gingerbread loaf in the oven for 40-45 minutes, or until a toothpick inserted in the center comes out clean. The glaze is really easy to make: just combine powdered sugar with cranberry juice and vanilla. Drizzle on top of the cooled loaf and enjoy! Looking for more seasonal desserts? 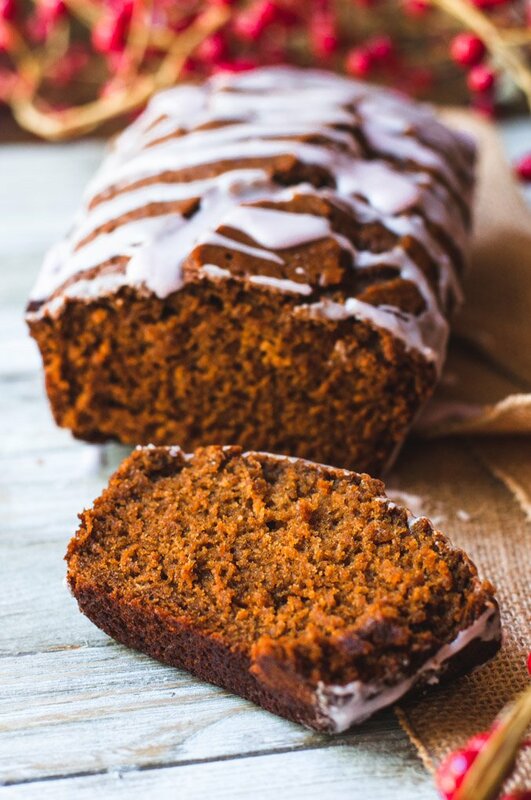 Gingerbread loaf that's dairy free, egg free, and made with warming spices and molasses. Preheat the oven to 350 degrees Fahrenheit. Lightly spray an 8x4 loaf pan with non-stick cooking spray. Set aside. Heat the water until it's hot to touch, like the temperature of bathwater. Stir in the molasses and mix until uniform. Stir in the canola oil, apple cider vinegar, and vanilla. 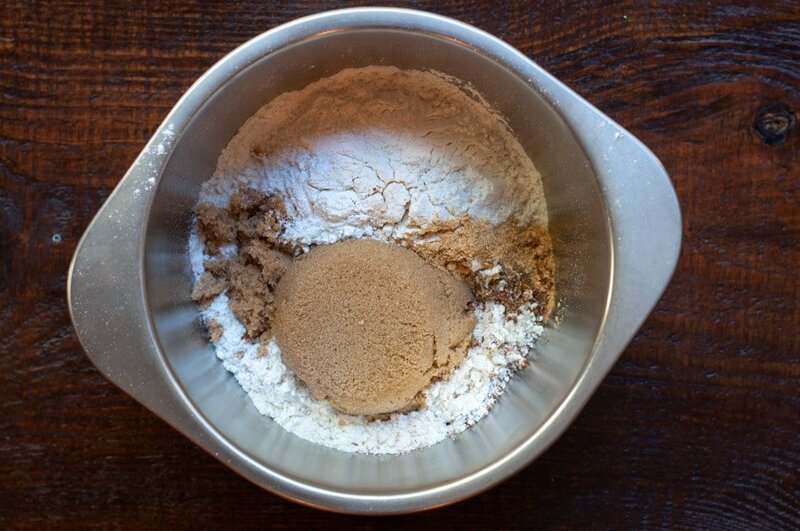 In a medium mixing bowl, combine the dry ingredients: all-purpose flour, light brown sugar, baking soda, baking powder, and spices. Slowly stir the wet ingredients into the dry ingredients. Mix with a wooden spoon until just combined, careful not to overmix. 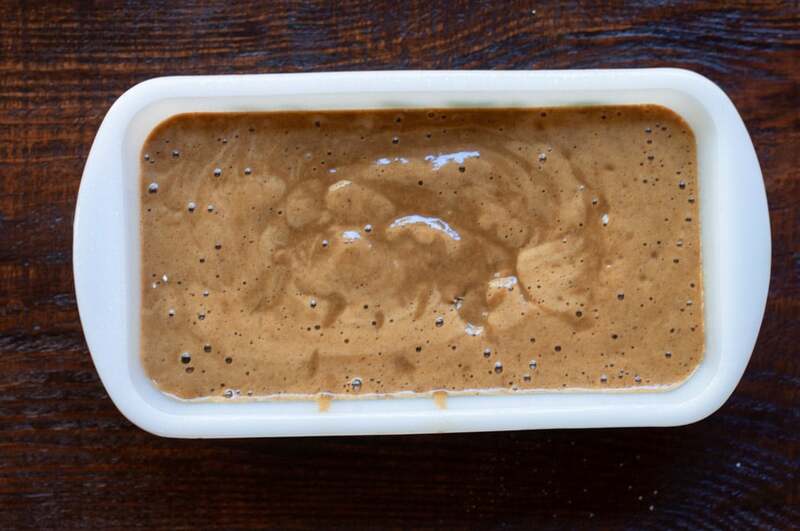 Add your batter to the greased loaf pan. Bake for 40-45 minutes, or until a toothpick comes out clean. Remove loaf from the oven and let cool in the loaf pan for 5 minutes before turning out onto a cooling rack. To make the glaze: In a small mixing bowl, add 1 tablespoon of cranberry juice at a time to the powdered sugar. Add the vanilla extract. 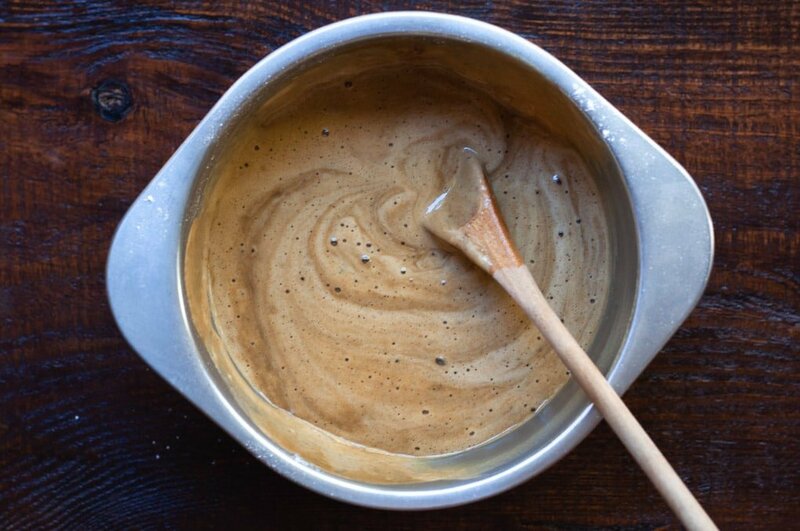 Stir until a cohesive glaze forms. If the glaze is too thin: add more powdered sugar, one tablespoon at a time. Too thick? Add cranberry juice 1 teaspoon at a time. 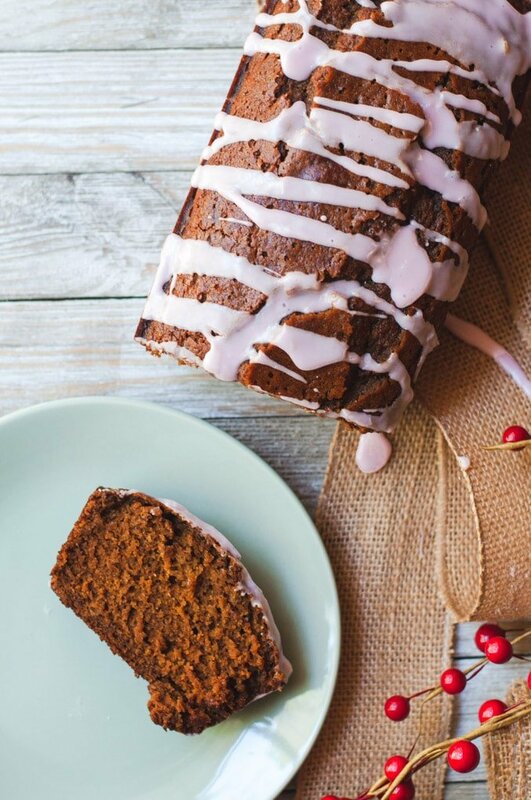 Let the gingerbread loaf cool completely before decorating with the glaze and slicing. Enjoy! Keeps for 2-3 days in the fridge. Enjoy warmed.